Come learn and practice techniques for stage performing, speech, oratory, and debate. Various instructors, actors, and coaches are lined up to help ready you for the upcoming season drama, speech, and debate. Attend all three days to achieve the maximum benefit--new instructors every day! 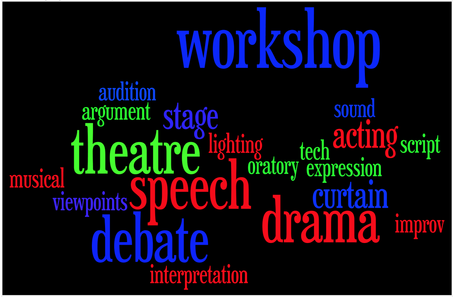 Challenge: bring a friend who is new to Drama or Speech/Debate and receive a t-shirt!